Covering Dorset, Hampshire, Sussex and surrounding areas. 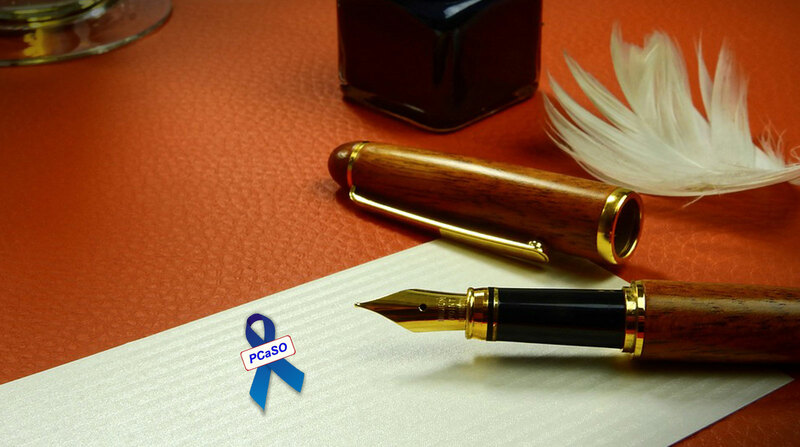 PCaSO is a charity for men diagnosed with prostate cancer run by patients diagnosed with prostate cancer. No offices, no highly paid executives, no paid staff at all. Just volunteers working from home. We know what you are going through and understand the pressures. You are not alone! On this site is information about prostate cancer you can read or download, a number you can call to talk to someone (top left, every page), details of meetings where you can talk to other men who have been through what you are going through, background about PCaSO and what we do. Prostate Cancer is the most common cancer in men. Each year in the UK over 47,000 men are diagnosed with it and about 11,000 men die of it. When a man is diagnosed with prostate cancer his world stops. We are here to support and help you with group meetings, leaflets and much more. PCaSO arranges events where men over 45 can have a free test. We often work with Lions, Rotary and Freemason clubs who help with the organisation. Membership of PCaSO is currently £12 as a one-off payment for life membership for both yourself and your spouse or partner. We hope that such a cheap price will encourage you to add a donation and a standing order for regular payments. If you would like to find out about local help, volunteer to get involved or just talk to someone local, click below for our people across the counties we serve.